Happy Friday everyone! Hope you are ready for the weekend. Today I thought I would share a little Hero Arts with you... 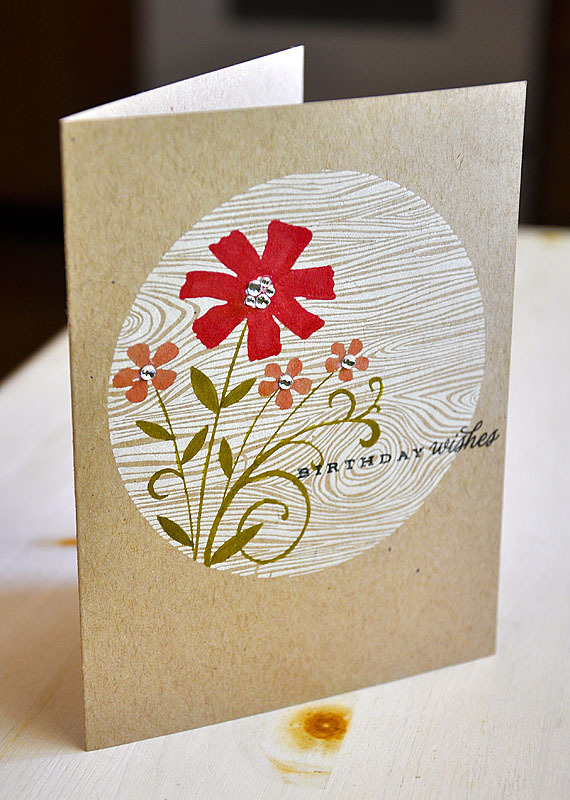 Started by stamping Flower Woodgrain Background in Fresh Snow onto a kraft card base. Then let the ink dry completely. Once the image was dry, I colored the flowers with Copic markers. Finished the card off with a few clear rhinestones and a sentiment from Tea For Two Additions. Thanks for stopping by, hope you all enjoy your weekends! Gorgeous Maile, love the simplicity of this card with the slight punch of colours, beautiful. wow! what a gorgeous card, Maile! love it! Gorgeous card...I love the woodgrain background stamped directly on the kraft base...beautiful. How cute! I may have to buy that stamp set. I really like the way it's circular...so cool. Love your color choices, too! WOW!!! This one is SO striking! This is so perfectly gorgeous! I just love everything about this card!! I love the masked woodgrain girl, and the colors are so crisp! Super fantstic! Love your copic coloring in this!Congrats on being featured on Hero Arts Twitter!! What a lovely card. That stamp is just fabulous and I love the way the flowers "pop" against the white color. Wow - this is SOOOO gorgeous. Beautiful card Maile! Love everything about it! This is awesome. I love it. Great job. Beautiful card Maile. The colours are just divine together. Enjoy your weekend. This is stunning!!! 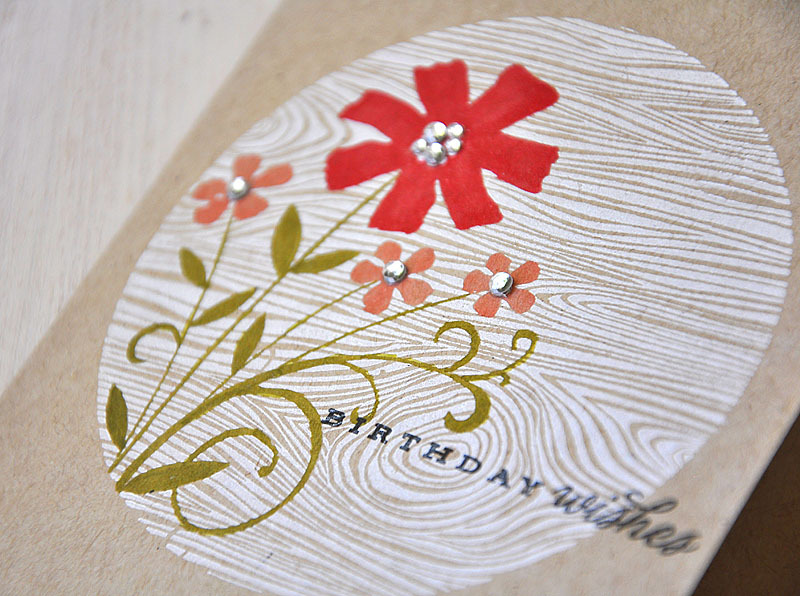 WOW...what a wonderful colour combo and I love how the white ink pops off the kraft paper. Great card! I love the woodgrain with the flowers. The images are great together. Stunning creation! I adore it! oh wow! I just LOVE this Maile!